Tomato genome gets fully sequenced — paves way to healthier fruits, veggies [Cornell Chronicle 5/30/2012] – “Tomato genetics underlies the potential for improved taste every home gardener knows and every supermarket shopper desires, and the genome sequence will help solve this and many other issues in tomato production and quality,” said James Giovannoni, a scientist at the Boyce Thompson Institute for Plant Research (BTI, which located on the Cornell campus) and the U.S. Department of Agriculture (USDA) who leads the U.S. tomato sequencing team. See also New York Times article. 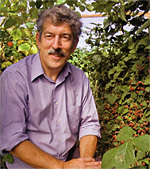 Cornell strikes gold with two new raspberries [The Grower 5/30/2012] – More ink for Double Gold and Crimson Night from Courtney Weber‘s berry breeding program. George Hudler, Ian Merwin, Marvin Pritts and Mark Sorrells will present diplomas. Graduation geraniums at the ready in KPL greenhouse. 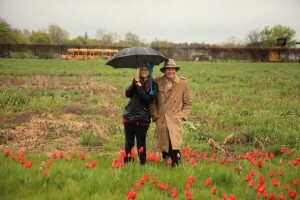 Science-y love blooms into 250-tulip proposal [CNET 5/24/2012] – John Gottula, graduate student in Plant Pathology and Plant-Microbe Biology proposed to girlfriend Kelly Voll by planting 250 red tulips last fall to spell out “Marry me Kelly” in SAGES garden plot at NYSAES. Update: Cornell Chronicle article. Insect pollinators contribute $29 billion to U.S. farm income [Cornell Chronicle 5/22/2012] – According to a study by Nicholas Calderone, Department of Entomology, published in the May 22 issue of the journal Public Library of Science ONE, crops pollinated by honeybees and other insects contributed $29 billion to farm income in 2010. 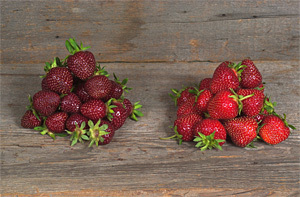 'Purple Wonder' (left) strawberry's deep burgundy color extends throughout the fruit. Click image for larger view. Cornell University’s New York State Agricultural Experiment Station is hosting a strawberry field day from 2 to 5 pm on Tuesday, June 12, 2012. The field day will be held at the Darrow Farm at 3227 Gates Rd., which is approximately 3 miles west of the Experiment Station off County Rd. 4 (North St. in Geneva) and 1 mile south on Gates Rd. Your host for this event will be Dr. Courtney Weber focusing on a plasticulture trial with over 20 varieties from the Northeast, California and Florida. 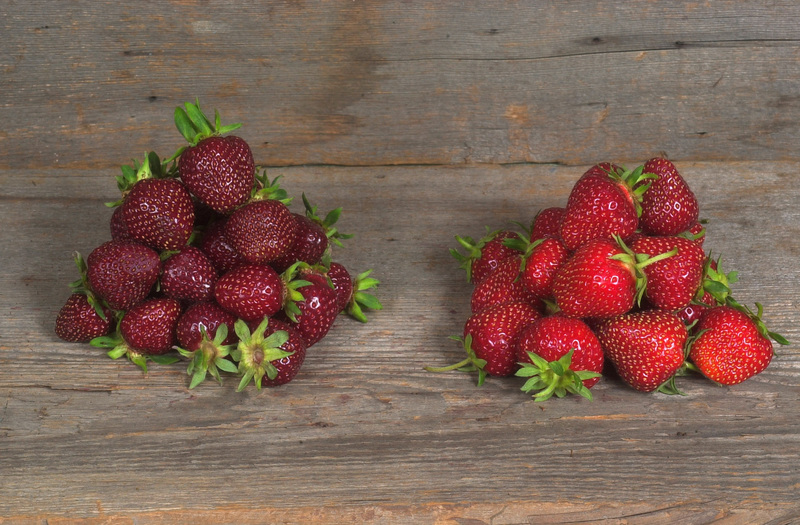 In addition, the newest strawberry varieties to be released from the Cornell University strawberry breeding program, Herriot and Purple Wonder, will be on display. Fruit from most varieties will be available for evaluation and tasting. Additionally, Drs. Kerik Cox, and Greg Loeb and Extension Specialist Cathy Heidenreich will be on hand to present information and answer questions on production practices and pest management. The program is free and open to the public but pre-registration is strongly encouraged to ensure adequate handouts and refreshments. Signs will be posted on the day of the event. Questions may be directed to Dr. Courtney Weber at 315-787-2395 or caw34@cornell.edu. June 11 – July 28, 2012. Learn garden site analysis and apply the concepts to your personal space. Gain proficiency in basic garden design principals. Articulate your personal aesthetic — what appeals to you, and what you enjoy. 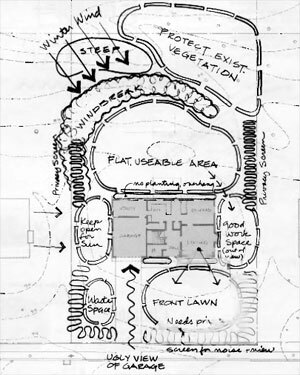 Lay out a rough site plan overview of your garden design. You’ll do all that and more if you take this 6-week online course (7 week including the introductory week), which provides an opportunity for you to design your own garden. You will be studying and experimenting with the basic design procedures, learning about proper plant selection, and you will write and reflect on the process as you learn. The instructor will take an active role in this creative endeavor by providing feedback on your assignments and journal entries. You will also have the opportunity to learn from one another through an open forum in which you can share your ideas with others. This course is designed to encourage your discovery of basic garden design techniques. It is a garden design course for the beginner. We teach an approach to gardening that is based on the principle of right plant, right place. In other words, we will consider the needs of the plant in addition to the needs of the gardener. 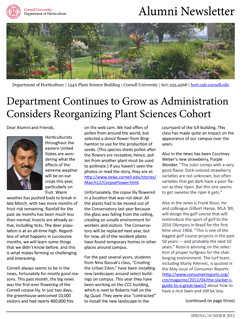 The Spring/Summer 2012 Department of Horticulture Alumni Newsletter is now online. Catch up on news from alumni around the world and more. Greenhouse scientists show that soil mix and light matter [Cornell Chronicle 5/7/2012] – Proper light, proper growing medium — it’s all part of the sustainability spectrum, says Glenn Evans, director of operations for Cornell University Agricultural Experiment Station (CUAES). Bigger, Blander, Blegh: Why Are Strawberries Worse? On NPR’s All Things Considered (May 17,2012) Melissa Block talks with Marvin Pritts about why store-bought strawberries aren’t as tasty as the ones you might pick on your own. BLOCK: Marvin Pritts, when you’re buying a strawberry, what do you look for? PRITTS: The first thing I do is look for where they are grown. If I have a choice I buy the strawberries that are grown closest to where I live, because I know that those are the ones that are probably going to be picked the closest to being fully ripe. 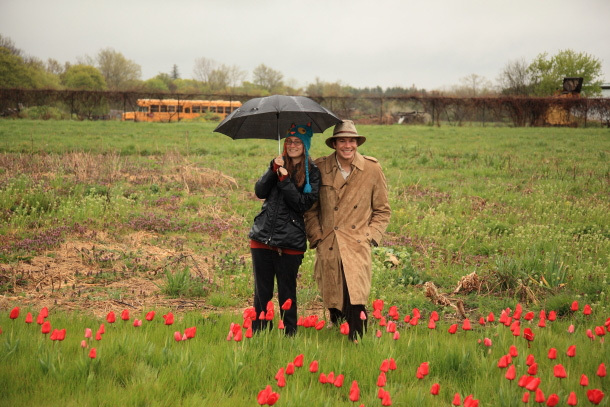 Katie Elliott-Engel has joined Cornell Agricultural Outreach and Education as the coordinator of the New York Agriculture in the Classroom program. 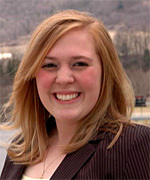 Katie grew up in Northern New York and attended the State University of New York at Cobleskill receiving a Bachelor’s Degree in Agricultural Business Management. During college she stayed active in promoting agricultural education by working with for the Oswegatchie Educational Center, the Professional Development Conference for Agricultural Educators, New York FFA, and interning with National 4-H Council. Upon graduating from SUNY Cobleskill, Katie moved to Southwest Missouri and worked with nine Native American tribes in neighboring Northeast Oklahoma. She served as the State Director of the WIC (Women, Infants, and Children) Supplemental Nutrition Program funded by the United States Department of Agriculture. After serving in this role for a year and half, Katie began her Master of Science Degree at the University of Arkansas in Agricultural and Extension Education. Katie actively participated in Missouri Farm Bureau, served as a 4-H project leader, and volunteered with the local Extension Service and agricultural education programs. To contact Katie, please feel free to e-mail at kse45@cornell.edu or call the NYAITC Office at (607) 255-9253. 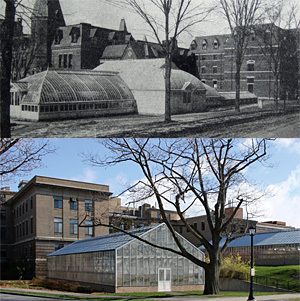 Sage Conservatory circa 1921 (top), and rendering of new L.H. Bailey Conservatory on Tower Rd.slated for completion April 2013. The L. H. Bailey Conservatory at Cornell supports the study of comparative biology as well as active research in fields that transcend the plant sciences. A late spring exhibit in the Top Shelf Gallery at Mann Library features select plant treasures from the Conservatory’s collection—one of the most outstanding of its kind in the world—along with highlights from the Conservatory’s history in promoting a better understanding of global plant biodiversity and public appreciation for art and science.